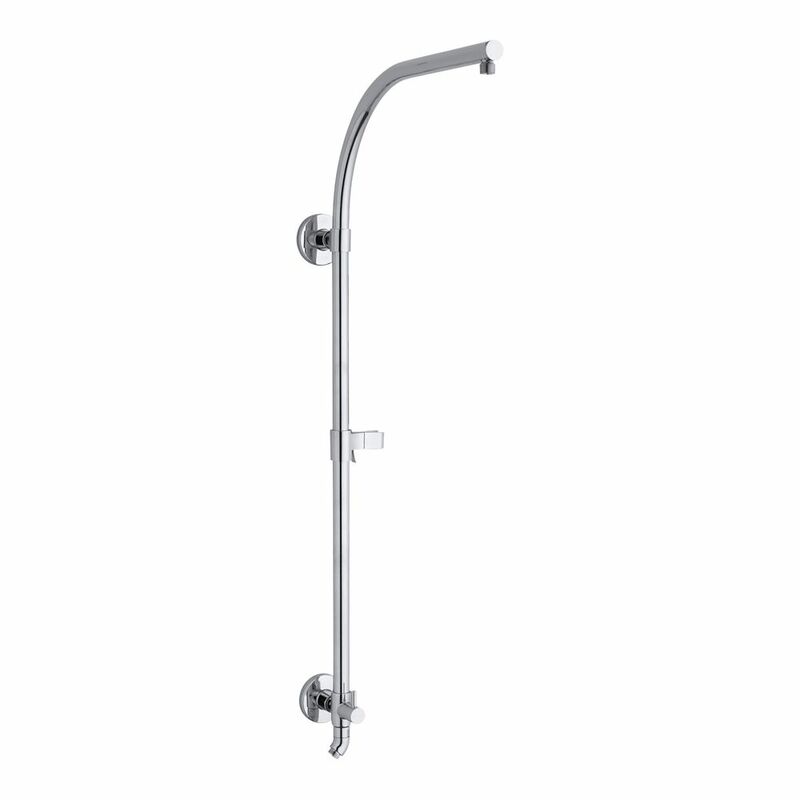 For use in bath and shower installations with arched showerarm for increased rainhead clearance. Hydrorail Bath/Shower Column For Arched Shower Arm In Polished Chrome HydroRail-R allows you to easily upgrade a standard shower to a spa-like showering experience with luxurious overhead rain and handshower functionality. It's designed to accommodate a wide array of bath/shower configurations without altering in-wall plumbing, making it suitable for both remodels and new construction. This bath/shower column converts your single-outlet showerhead into a two-outlet custom showering experience, and has a slidebar bracket for easy height and angle adjustments to your handshower. For smooth toggling between handshower and rainhead functions, this column features a diverter conveniently located at the base. Hydrorail Bath/Shower Column For Arched Shower Arm In Polished Chrome is rated 5.0 out of 5 by 1. Rated 5 out of 5 by Daniel from I made sure there were studs behind the mounting points... I made sure there were studs behind the mounting points because I didn’t want to use the plastic anchors. This thing is mounted to studs in my shower . I didn’t want someone to pull on it or slip and grab ahold of it and pull it out of the wall along with tile! If you’re doing a complete renovation I would suggest you do the same. It has its own diverter , so you can switch from the overhead to the hand held & run them both simultaneously. Looks expensive and no other rail can make the same statement.